It’s not just employees who hit gold when their companies are successful — these days, the support staff is doing pretty well for themselves too. Capital First Chairman Vaidyanathan Vembu has gifted shares worth Rs. 15 crore among his drivers, maids and employees. Two of Vembu’s drivers got 6,500 shares in Capital First valued at Rs. 31 lakh each, as did three of maids, who each got the same amount of shares worth Rs. 31 lakh. Vembu also gifted shares worth Rs. 50 lakh each to 26 of his current and former employees. Vaidyanathan’s largesse is only the latest among of Diwali gifts being announced by Indian corporates. Earlier this month, Gujarat-based diamond businessman Savji Dholakia had gifted 600 cars to his employees in a grand ceremony. Dholakia has made it a bit of a tradition to distribute cars during Diwali — in 2016, he’d gifted 1,260 cars and 400 flats to his employees. But what seems to be changing is how companies these days are also rewarding their support staff as well. Apart from Vaidyanathan’s Rs. 31 lakh share awards to his two drivers and three maids, other companies have also begun rewarding their employees in support functions. When Citrus Pay had been acquired by PayU in 2016, 15 of its employees had turned crorepatis, and an office boy, who’d been awarded company shares too, had netted Rs. 50 lakh. Earlier this year, a Paytm office boy had too made Rs. 20 lakh by selling his stock options in the company. 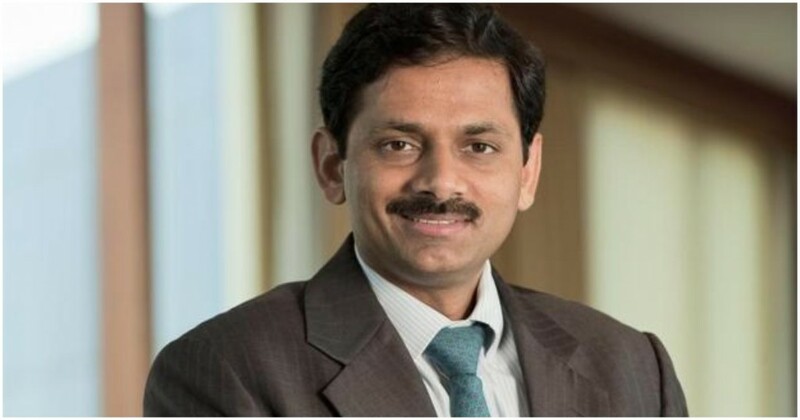 For his part, Capital First’s Vaidyanathan Vembu had started his entrepreneurial journey when he was 42, at which point he was the MD of ICICI Prudential Life Insurance. In 2010, he’d bought a 10% stake in Future Capital and secured equity backing of Rs. 800 crore from Warburg Pincus, and rebranded the company as Capital First. Capital First is listed on stock exchanges, and provides loans to business entrepreneurs, small and medium enterprises and Indian consumers. The merger between Capital First and IDFC Bank was cleared last month, and Vaidyanathan will be the MD and CEO of the combined entity. Capital First told exchanges that Vaidyanathan’s share reward was meant to thank early employees for building the company. “(Capital First) is now on the threshold of a merger with an existing bank and it is a significant milestone because of access to a bank platform. Before the start of the new journey, he has expressed a desire to thank and honour those who have bought it to this strong position,” a statement said.